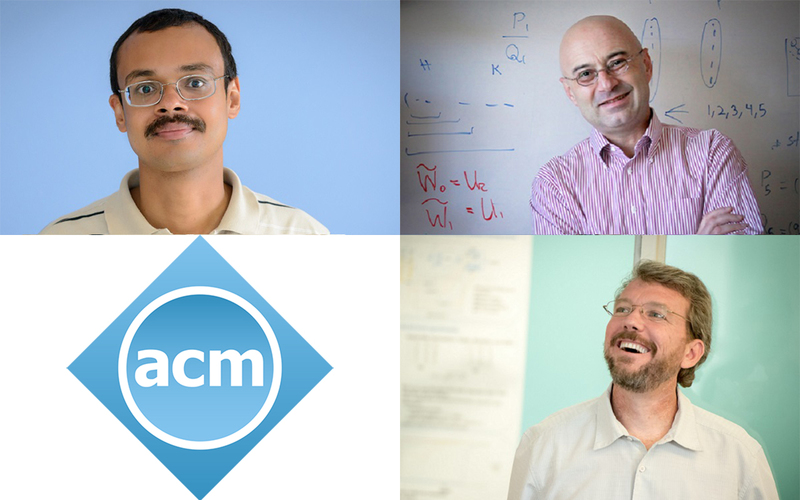 Jacobs School of Engineering professors (clockwise from top left) Ravi Ramamoorthi, Alexander Vardy and Geoffrey M. Voelker have been elected Fellows of the ACM. 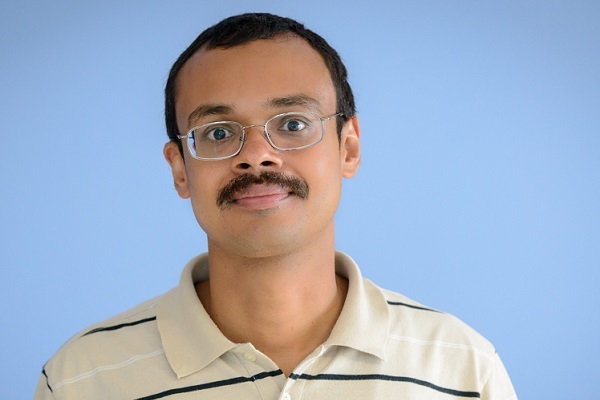 As early as 2007, Ramamoorthi received the ACM SIGGRAPH Significant New Researcher Award for his “groundbreaking work on the mathematical representations and computational models for the visual appearance of objects.” One year later, at the White House, he was awarded a Presidential Early Career Award for Scientists and Engineers (PECASE) for his work in physics-based computer vision. Ramamoorthi’s most recent work on simulating light “glints” off fine-surface detail (in a paper at SIGGRAPH 2016) has generated wide press coverage. Vardy is a leading expert in coding theory, information theory and communications. Over a span of three decades, Professor Vardy has contributed consistently and profoundly to the theory and practice of error-correcting codes and to their study in complexity theory. With the recent adoption of polar codes in the 5G wireless standard, his work has also had a tremendous impact in practice. When polar codes were discovered in 2009, they were regarded as being of purely theoretical interest, since major obstacles prevented their utilization in practice. However, seven years later, 3GPP voted to adopt polar codes in the 5G standard, largely because of Vardy’s groundbreaking work in polar coding, and in particular, his ingenious list-decoding algorithm for polar codes. Among several dozen contributions to the 5G standard that study polar codes, every single one references his list-decoding algorithm and award-winning paper. In 2017, Vardy and co-author Ido Tal received the Communications & Information Theory Societies Joint Paper Award for their landmark 2015 paper on “List Decoding of Polar Codes”. 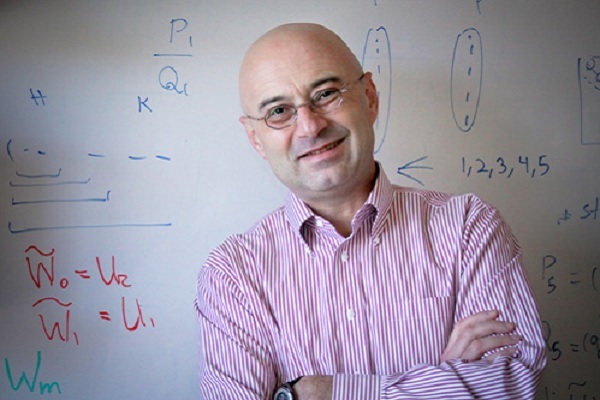 Other examples of Vardy’s impact on coding theory have included his award-winning paper (with his postdoctoral fellow Ralf Koetter) on algebraic soft-decoding of Reed-Solomon codes. The paper has had great resonance, with leading academic and industry researchers further developing the Koetter-Vardy algorithm, including implementations in software and hardware. Vardy’s paper won the IEEE Information Theory Society Paper Award and resulted in a key patent, and the Koetter-Vardy algorithm is now used in radio communications (JT65 Protocol) and other applications. Vardy also invented a radically new type of code with his student Farzad Parvaresh. Their breakthrough work won the Best Paper Award at the 2005 Symposium on Foundations of Computer Science (FOCS), and today, Parvaresh-Vardy codes are used to construct the best-known unbalanced expanders, randomness extractors, and explicit coding schemes achieving list-decoding capacity. Vardy’s research and its influence transcend coding theory. He was highly influential in establishing a bridge between the information theory and cryptography communities, after publishing a paper extending the cryptographic notion of semantic security to wiretap channels – a model studied for decades in information theory. Vardy also contributed profoundly to the study of lattices. These contributions include his algorithm for maximum likelihood decoding of the Leech lattice (still the best-known) and his discovery of an especially dense 20-dimensional sphere-packing, which disproved a 25-year-old conjecture about laminated lattices. Vardy’s work outside of coding theory has also spanned a wide range from very practical problems (e.g., collisions in RFID tag-singulation protocols) to questions of purely mathematical interest (e.g., q-analogues of Steiner systems). 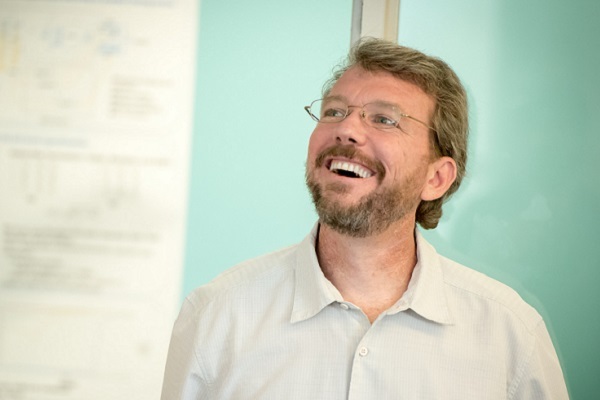 Professor Voelker joined the CSE faculty at UC San Diego nearly 18 years ago, in January 2000. He did so after earning his Ph.D. in Computer Science and Engineering from the University of Washington the same year. Voelker completed his undergraduate degree at UC Berkeley in 1992, then moved to the University of Washington to get his M.S. (in 1995) and Ph.D.